"Studio, sanctuary, temple... a magical refuge for channeling creativity"
My main studio is in the attic of an old house ....I have everything and its mother up there. Sometimes the studio is the back yard where I can create in natural light and nature. 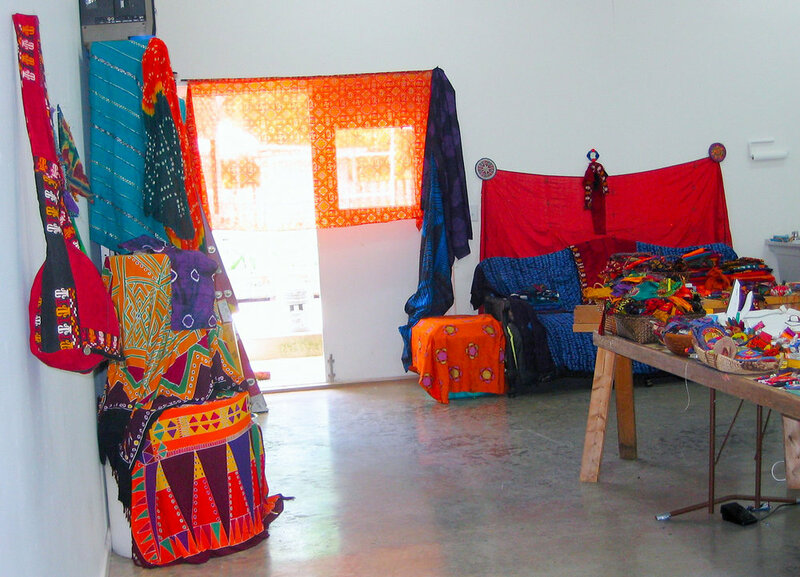 Other times the studio is where I'm artist in residence which is always a magical experience.